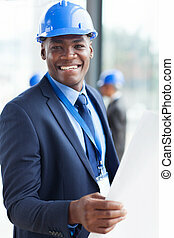 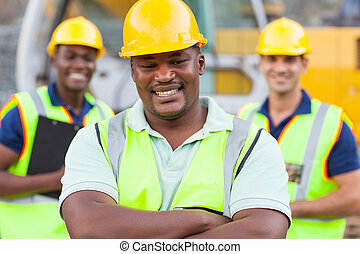 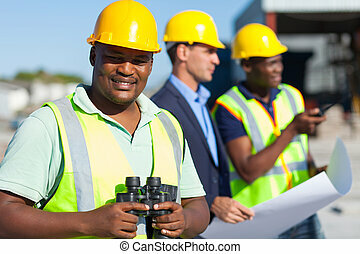 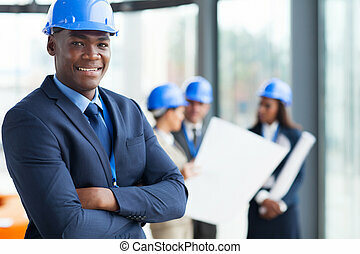 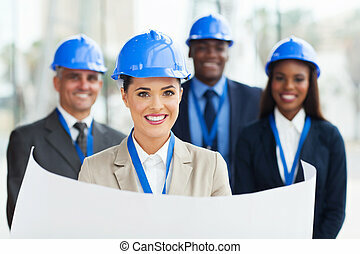 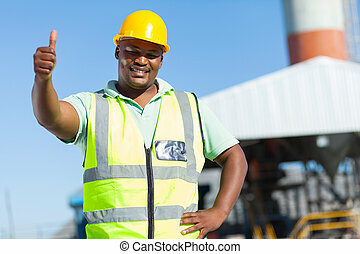 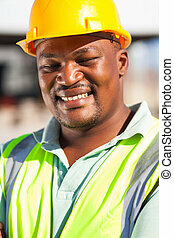 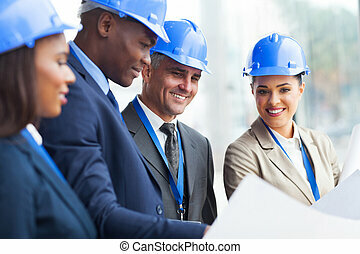 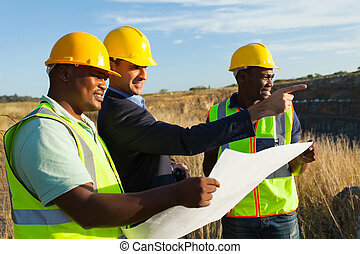 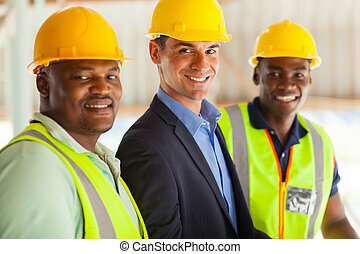 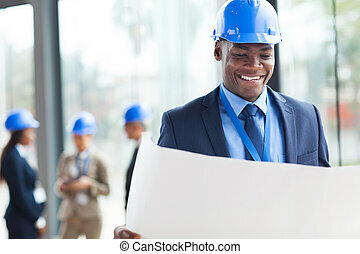 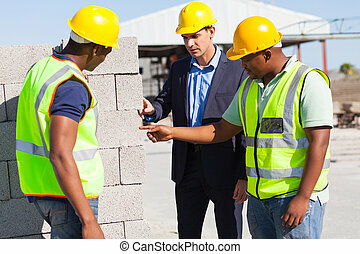 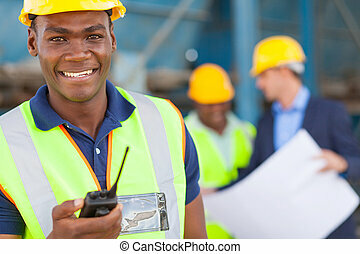 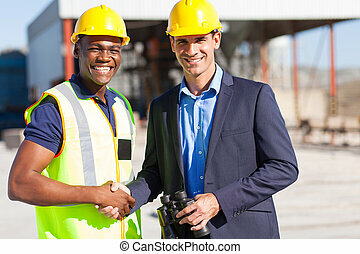 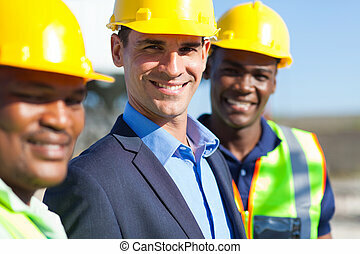 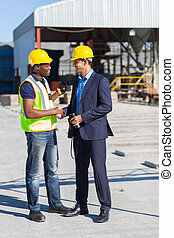 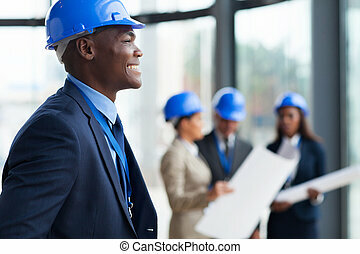 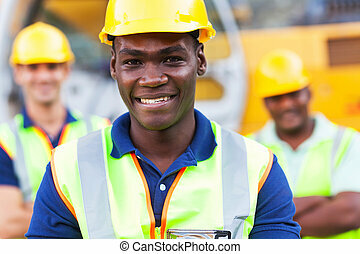 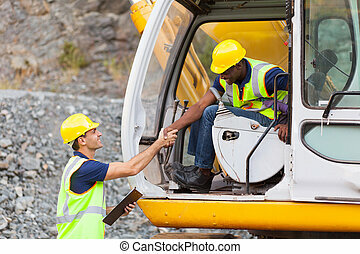 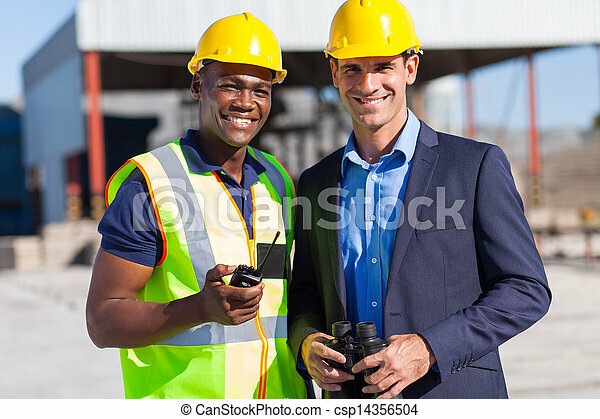 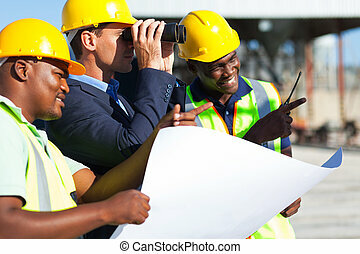 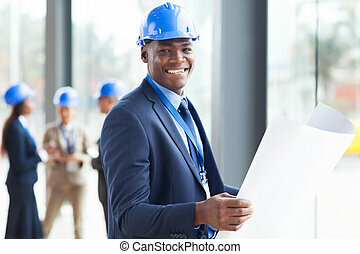 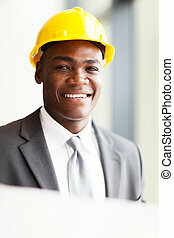 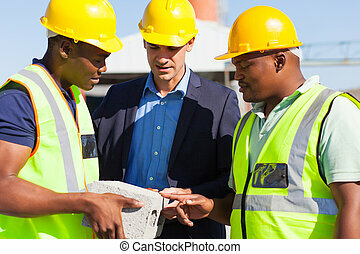 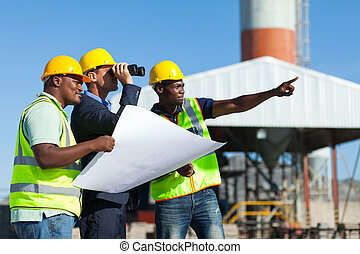 Cheerful african construction worker and manager portrait outdoors. 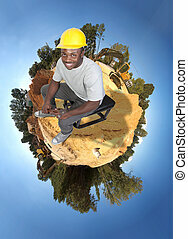 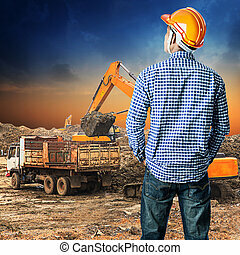 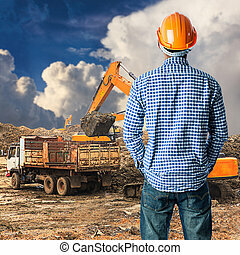 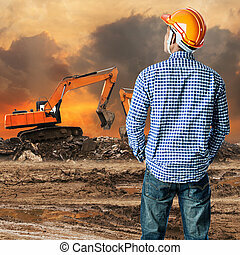 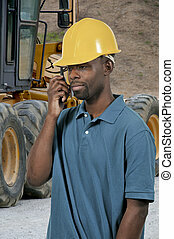 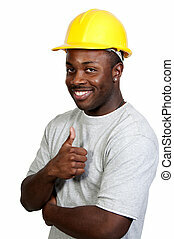 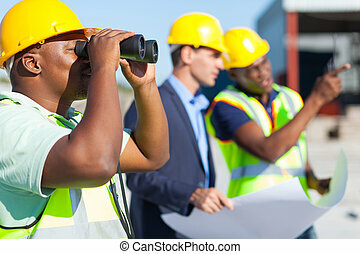 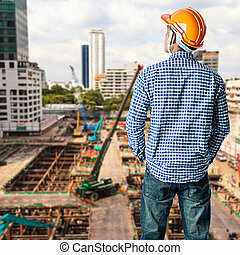 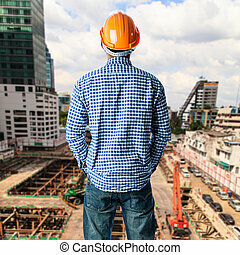 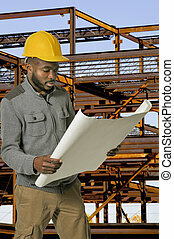 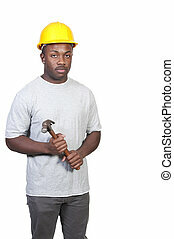 Black man African American Construction Worker on a job site. 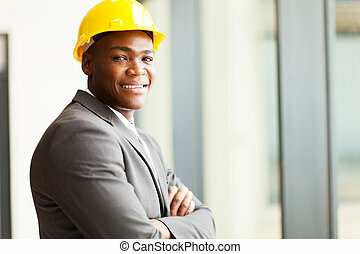 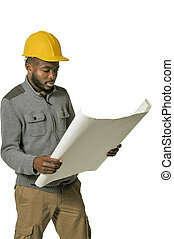 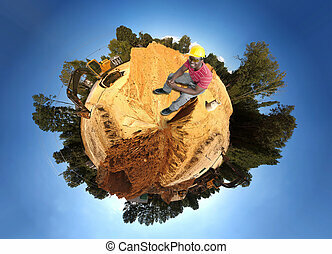 A black man African American Construction Worker on a job site. 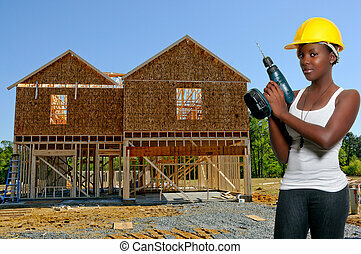 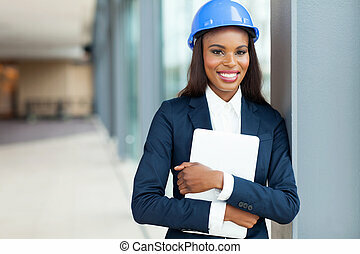 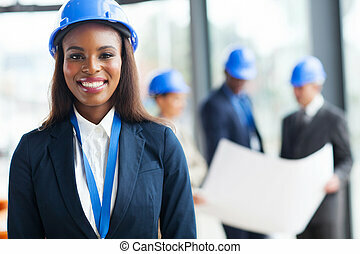 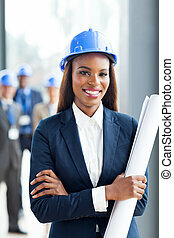 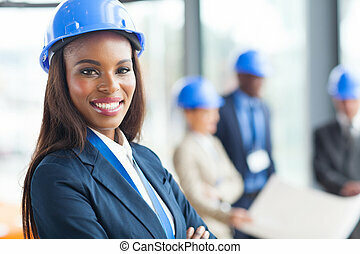 A black African American woman Construction Worker on a job site.